Professor Elizabeth B. Kozleski engages systems change and research on equity and justice issues in inclusive education and professional learning. 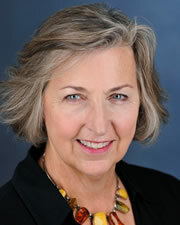 Awards include the 2017 Boeing-Allan Visiting Endowed Chair at Seattle University, the University of Kansas 2016 Woman of Distinction award, the Scholar of the Century award from the University of Northern Colorado in 2013, the TED-Merrill award for leadership in special education teacher education in 2011,and the UNESCO Chair in Inclusive International Research She is the recipient of more than $33 million in federal and local research grants. She has published in a number of highly respected journals included the Education Policy Analysis Annuals, Educational Researcher, the Journal of Special Education, Remedial and Special Education, and the Review of Research in Education. She has published a number of articles on the design and development of teacher education programs that involve extensive clinical practice in general education settings, has led the development of such programs in three universities, and continues to do research and development work in teacher education. She has been involved providing technical assistance as well as research on the impact of technical assistance on individuals, local, state, and national systems in the U.S. and abroad. Her research interests include the analysis of systems change in education, how teachers learn in practice in complex, diverse school settings, as well how educational practices improve student learning. She has senior leadership roles on four projects: SWIFT, CEEDAR, Emergent Literacy Curriculum for Students with Intellectual Disabilities in General Education Classrooms, and Special Education Leadership in System-wide Equity and Access for Students from Culturally and Linguistically Diverse Backgrounds. Professor Kozleski serves on the Board of Editors for the book series Inclusive Education and Partnerships, an international book series produced by Deep University. Her recent books include Ability, Equity, and Culture (with co-author Kathleen King Thorius) published by TCP in '14 and Equity on Five Continents (with Alfredo Artiles and Federico Waitoller) published in '11 by Harvard Education Press. Mitchiner, M. McCart, A. Kozleski, E. B., Weeney, H. & Sailor, W. (2014). Emerging trends and future directions in effective, inclusive elementary schools for students with extensive support needs. In J. Mcleskey, N. L Waldron, F. Spooner, & B. Algozzine (Eds. ), Handbook of effective inclusive schools: Research and practice. New York: Routledge.